This week on Books and Beyond Louisa chats to Peter Millett, author of over 50 children’s picture and fiction books. 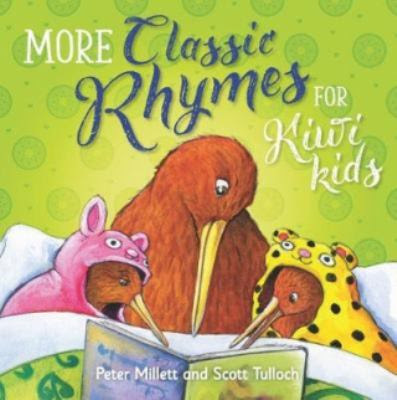 Peter introduces his new book More Classic Rhymes for Kiwi Kids, and the latest in his superhero Johnny Danger DIY Spy series, which we find out is as popular in the UK than home in Aotearoa NZ. Listen to this episode on the Auckland Libraries SoundCloud. The ANZAC biscuit man and other classic kiwi tales. Jean Batten by Peter and Ruth Millett. The kiwi go marching one by one, sung by Jay Laga'aia with lyrics by Ngaere Roberts. Johnny Danger: lie another day, as part of The Johnny Danger series. The petrifying plot of the plummeting pants, as part of The Boy Zero series. Auckland Libraries' radio show Books and Beyond explores the world of books with guest authors, recommended reads, gems from the Central City Library basement and… beyond. Catch us on Planet FM 104.6, Sundays at 9.35pm. Recent shows can be listened to as podcasts via the Auckland Libraries SoundCloud.